Adelabu Alexander, MAGIKZ, the University of Lagos rapper and winner of the just concluded Mass Comm Got Talent show has named September 27 as the day he drops his 3 in 1 single popularly known as extended play (EP). 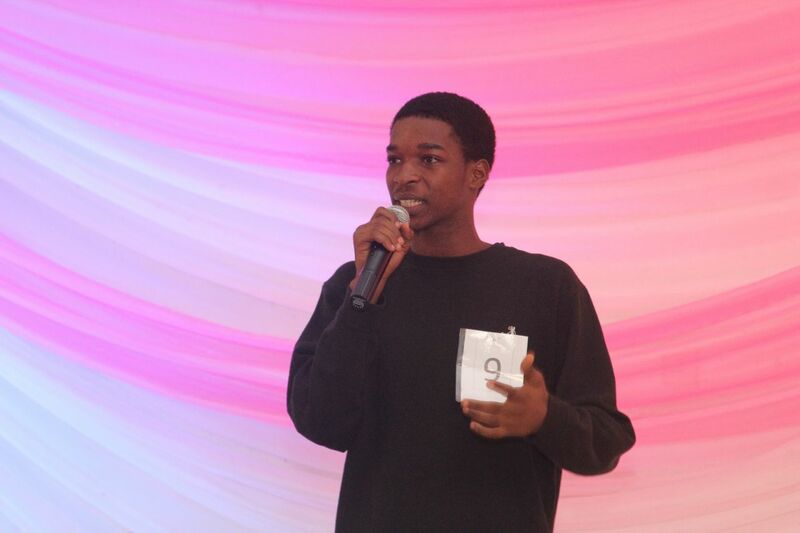 MAGIKZ had performed one of his songs tittled “Mirror,” to emerge winner of the contest. Judges at the contest tested the contestants’ skills and creativity in singing, rapping, dancing, poetry, presentation, use of instrumentals among other yardsticks. The chief judge of the contest and Nollywood veteran, Fred Amata noted that MAGIKZ was unique among the contestants for his originality in the art of music and rapping. The MCSA president, Onyeka Okorie, said the competition was intended to discover the potentials in young talents within the department. MAGIKZ, who hailed from Ekiti state, Ijero Ekiti to be precise, is a 100L Mass Communication undergraduate‎. Speaking shortly at the end of the show, he described the EP as a taste of what the album would look like. Asked his preparations for the EP launch, he said the song would be launched online and promoted on radio stations. “The song is going to premiere on UNILAG Radio and we are also going to have air play on Kiss FM on same date. Also, we are planning a club launch and it’s really going to be massive,” he added. He said the reason he embarked on dropping an album was to get a record deal on his side. “That’s basically the plan but I’m seeing farther than me just getting a record deal because from this EP, I could also generate a fan base,” he added. MAGIKZ is unique for his own genre of music and versatility. “I do Afro fiction, I do rap music, I do R&B. all these put together make my music very unique because I am versatile, I don’t just do one kind of music. You will find it funny I do Reggae music too, but it’s actually coming up later in the project. MAGIKZ is really a complete brand that you will all find exceptionally unique,” he said. Coping with academics and music career may come with its own hurdles, but MAGIKZ believes education is not the least or what he’s not meant to focus on. “I try not to look at things like music is everything. I still take my education very seriously. I try as much as possible to focus on both of them so, I won’t pay more concentration on one than the other,” he said.